Tonle Sap is the largest freshwater lake in Southeast Asia in general and Cambodia in specific. Tonle Sap Lake not only brings the abundant seafood resources but also is a popular tourist destination in Cambodia thanks to many interesting activities such as experiencing the life in floating villages or visiting the bird sanctuary. I. Where is Tonle Sap Lake? IV. 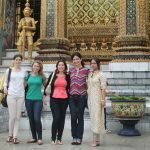 What is the best time to visit Tonle Sap? V. How long does it take to visit Tonle Sap Lake? Tonke Sap means “the big freshwater river” in Cambodian. In 1997, UNESCO recognized Tonle Sap Lake as a biosphere reserve in the world. It is located in Siem Reap province and only 25km from the city center, so visitors can easily travel to this Cambodia Lake in just a half day. 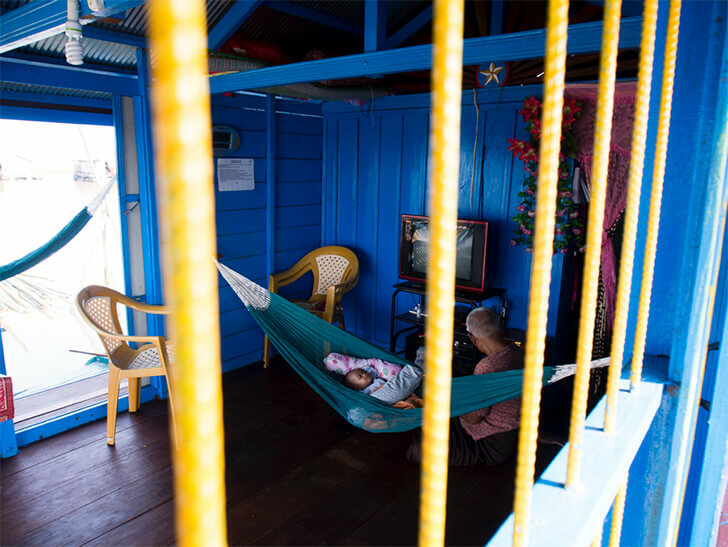 Tonle Sap Lake is home to the community of Vietnamese and Cham people living in floating houses. The inhabitants mainly live by fishing and selling on boats. When visiting here, visitors will find their life quite hard and difficult. The atmosphere on the lake is quite peaceful with the beautiful houses which are close together including schools, churches, and pagodas. Some famous villages attract many visitors to visit are Chong Khneas, Kampong Phluk, Kampong Khleang and Prek Toal. Tonle Sap is about 25 km from Siem Reap, so you can get to Tonle Sap by bus. It takes about 30 minutes. After you arrive at Tonle Sap, you will be on the lake by boat or ride a bicycle for sightseeing. Tonle Sap has 2 seasons: the dry season (from November to June) and the rainy season (from May to October). During the rainy season, the weather, climate, and the sea are also pleasant and suitable for sightseeing, so we highly recommend you to visit the lake during this season. You should spend about a day to visit the lake and explore the life of the people here. The area next to the lake and on the lake has many floating houses of the local people. Sightseeing by boat is one of the most enjoyable experiences when exploring the lake. The tourists will enjoy the cool breeze, admire the peaceful lake and watch the scenery of local life. Sometimes visitors will be startled when they see some running boats on which there is a huge python. That will make your trip more enjoyable and memorable. After going around the lake, the boat will take you to the floating restaurant to enjoy cool coconut or go up stair for sightseeing. Coming to Cambodia Tonle Sap Lake to experience a kind of ecotourism in the floating season, you will have the opportunity to visit the beautiful and romantic floating villages here. 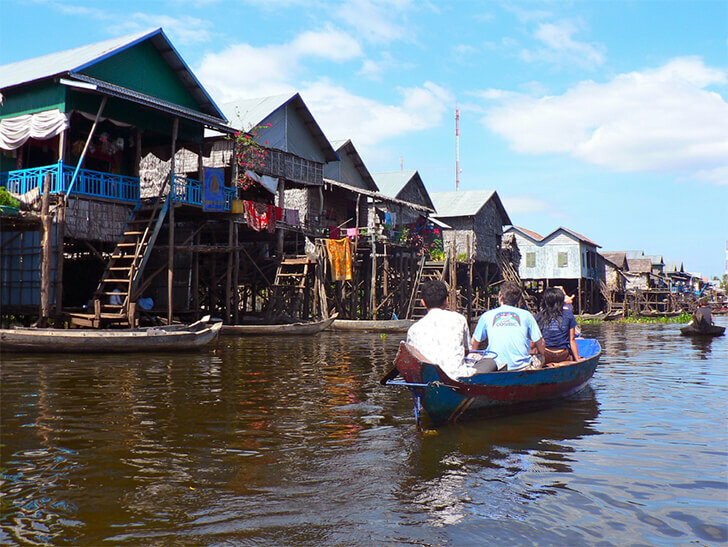 In Tonle Sap Lake, the local people live in simple floating houses close together. In addition to houses, there are also schools, clinics, and pagodas just like in the mainland. If the tourists want to visit the floating village to see the local life. Chong Khneas, Kampong Phluk and Kampong Khleang are some good choices. 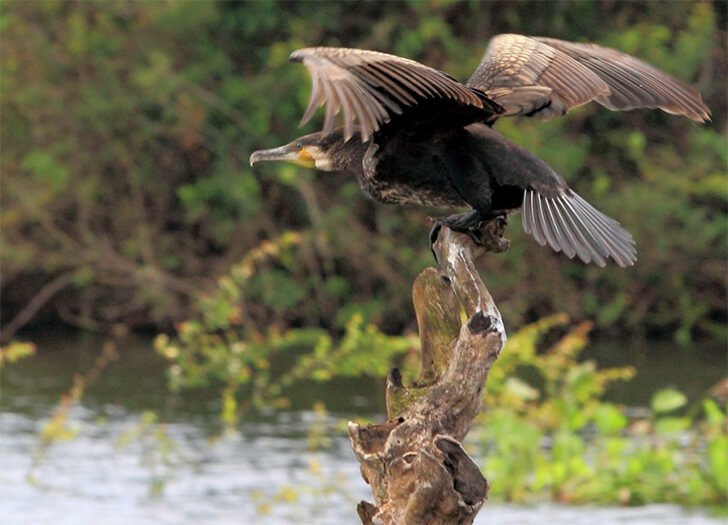 Prek Toal Bird Sanctuary is located in the northwest of the lake and it is also an interesting sight in Siem Reap. At this point, visitors have the opportunity to watch many endangered birds such as white storks, gray-footed pelicans, and gray-headed eagles. In addition, they can also climb to the observation tower to see the immense landscape. If you have a chance to visit Tonle Sap Lake, do not miss the bird sanctuary of Prek Toal to have the opportunity to approach and see the rare and endangered birds in here. 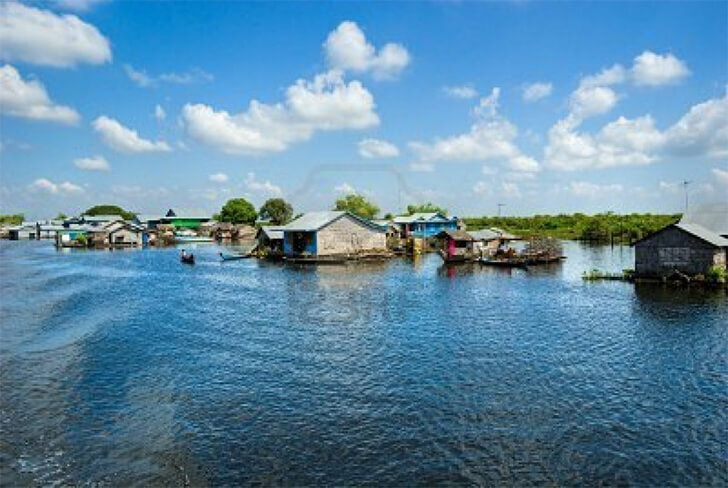 The abundant resources of Tonle Sap attracted people from everywhere to come here and form floating villages in the floodplain and on the Tonle Sap Lake. That lifestyle has been virtually unchanged for hundreds of years. They mainly live by fishing and the fish is still the main source of income. In addition, the local people also develop the fish farming cages, crocodile farms, snakes and ducks raising, wood cutting, birds hunting and algae collecting. The form of market arises when the number of tourists coming here is growing. There are boats selling drinks, fruit, dried fish and other items. There is also a fish market that exchanges seafood between residents in the area. The floating market of Tonle Sap is a place attracting tourists to discover the river life of the most populous community. Exploring the real life in Tonle Sap Lake and the products it brings as well as watching the sunrise or sunset in here are the activities visitors cannot ignore. After visiting all over the lake, you can relax at the local people's home with Homestay service. 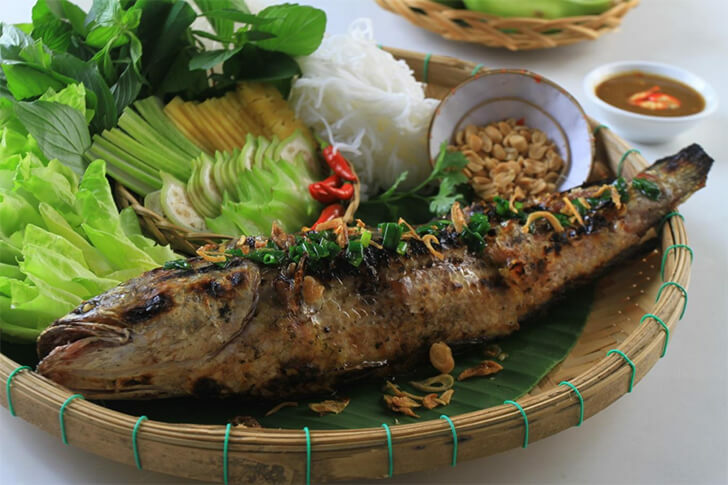 This is a great opportunity to experience the peaceful river life, integrate into the normal life of the local people and enjoy many attractive dishes from fishes on the lake. You can rest in a homestay in the floating villages like Kampong Khleang or Prek Toal. 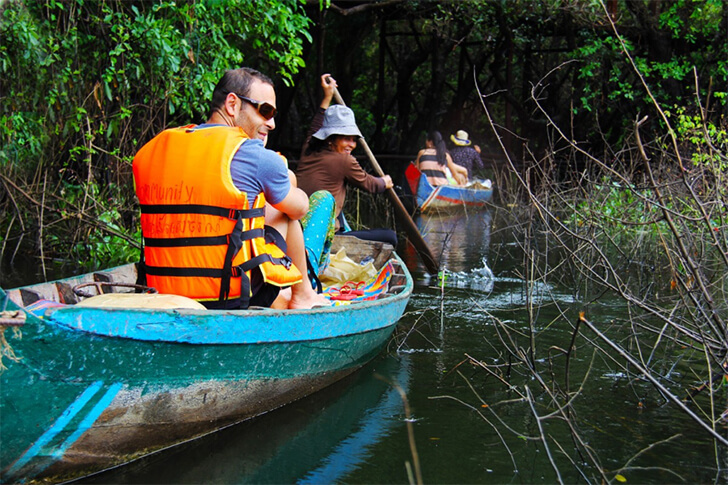 The green mangrove forests surrounding the floating villages is one of the characteristics we can easily recognize when visiting the lake. You can sit in a wooden boat and go around the mangroves. Exploring the local cuisine is also an interesting journey. Tonle Sap contains a rich source of seafood so the specialties in this area are mostly processed from fish. Here are some suggestions for you. Wherever you are in Cambodia, you can also buy river fish grilled on charcoal. The big river fish is kept by the bamboo sticks and is baked directly on the hot coal. This popular dish is found in everywhere from markets to restaurants. In any corner of the local market, you can easily see the image of local women who are busy in grilling fish. In some luxury restaurants, the skin of grilled fish can be eliminated. The skin is cleverly split, so guests can eat the meat inside. The fish is soaked with salt before grilled and served with the green and sour mango. Even if you do not like fish, you can hardly take your eyes off the glittering stalls at the local market, where the big dried lean fish are lying on bamboo baskets. Tourists like buying the dried fish as gifts for family and friends. 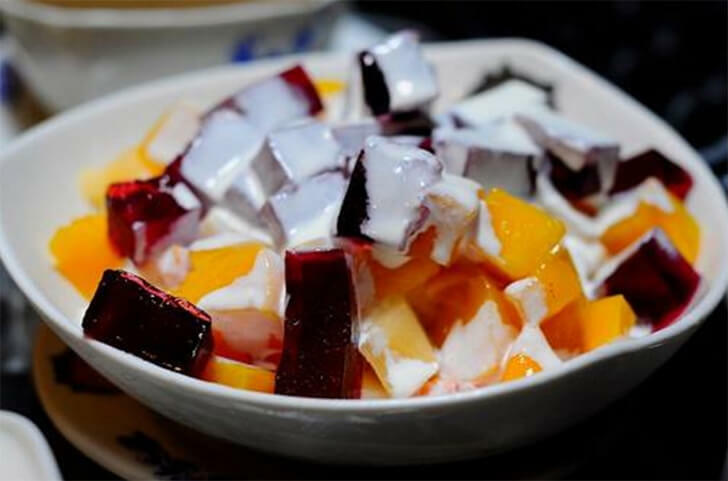 Named one of the top 10 best foods in Cambodia, so when you come to this country, you should not miss this dish. 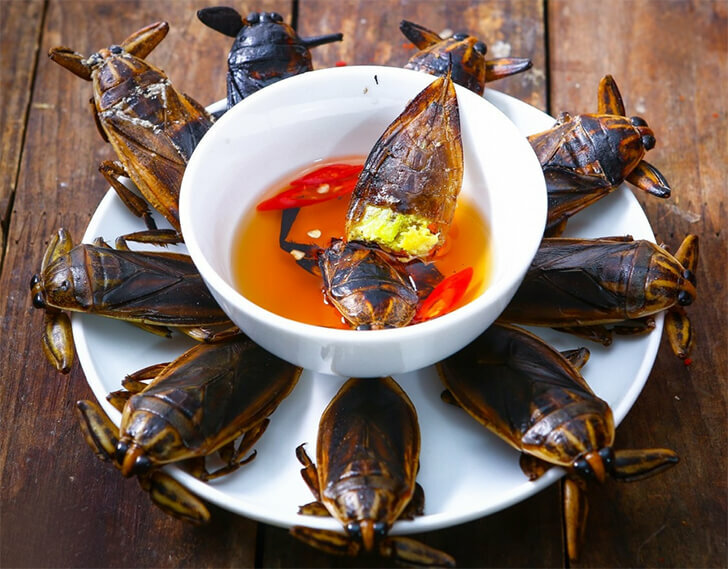 All kinds of insects such as ants, worms, scorpions, spiders, and crickets are processed into many different dishes such as fried, stir-fried and steamed ones. 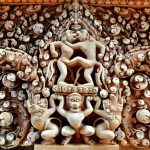 However, not all visitors are brave enough to enjoy this food, but once you enjoy it, you will feel the special taste of the dish known as "the soul" of Cambodian culinary art. Barbecue in Cambodia is considered as the main culinary inspiration of this country. It includes grilled seafood dishes, grilled pasty which is marinated in spices to have a very strong flavor, especially the unique mouth-watering dish: grilled belostomatid and grilled chicken, beef and pork. The most special point in the grilled dishes of Cambodia is that all ingredients are marinated in the palm sugar before being grilled so the taste is very characteristic. Fresh fish is cooked with coconut and Kroeung - a kind of Khmer curry, including citronella, turmeric, garlic, shallots, and ginger. This dish is often presented in "bowl" made from banana leaves. The Tonle Sap of Cambodia is famous for its seafood and extensive black pepper farms. Fresh crabs are fried together with fresh peppercorns, creating a particularly delicious taste. The fish is fried and then put into the hot pot with the sweet and spicy coconut curry with many kinds of vegetables and rice noodles. This sweet dessert is quite cheap, sold in pavement shops. Cha houy teuk is made from colorful algae mixed with Sagu palm powder, green beans, and coconut cream. Alternatively, you can try the sticky rice dish with coconut milk, taro, red beans, and pumpkins. Not as spicy as Thai curry, this dish is usually made from beef, chicken or fish, with tomato, green beans, potatoes, fresh coconut milk, citronella, and Kroeung. This dish is usually cooked at special Cambodian events such as weddings or occasions such as Pchum Ben. Red curry is usually served with bread. We hope that the above information will be helpful for your trip to Tonle Sap Lake. Have a nice trip!